You watched them grow up. You remember them on the playground and up at bat in t-ball. You saw them in the school plays and at church on Sunday morning. Now that they are grown and in the military, you ask me where they are or how they are doing. On a good day, I will smile and give the update. On a bad day, I might crumple in your arms. I fight a battle every day to ride the wave of pride and fear as my children — four of them, to be exact — do their duty as military officers. You would think I would be used to it after 16 years and 12 deployments. But I liken this journey to labor: No matter how many times you have done it, when the first pain hits, it still hurts like a son of a gun. My first battle on the home front is to overcome daily worry. You may be wondering why I worry. After all, they are not always deployed . . . even though sometimes it feels like it. My three sons and son-in-law are aviators. Over the past few years, there have been several dozen military aviation accidents, and almost every crash was in US operations. There have also been multiple training accidents across the branches. I would be remiss to not include the toll that PTSD has taken on our military community as we lose service members to the battles within. 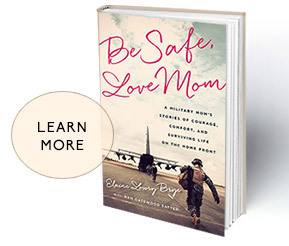 It is part of the life of a military mom to come to grips with these hidden and obvious dangers. It’s an invisible backpack filled with the bricks of fear and worry and the sadness of letting go of the time when I could protect them. We find ways to cope, whether it be through prayer or walking or projects. But the biggest help comes from those who understand. Other military parents automatically get it. But neighbor, I’d like it to be personal to you, too. Realize that I am carrying a hidden weight upon my shoulders that only lessens when deployment is over or when my children are all under my roof, which seldom happens. Remember that we all have a duty to our country, but some are sacrificing every day at a different level. Don’t be afraid to call me and ask if everyone is okay if you hear bad news. If I don’t know, you can pray with me. If everything is great, we can rejoice together. And — heaven forbid — if it is not, I will need you more than ever. What makes this military momma thing bearable is the enormous pride I have in their service. You will see me wearing my military-themed t-shirts. As I hear the stories of situations they have encountered, it makes me even prouder. When I hear the Star Spangled Banner, I cry because I love this country and my children who are protecting it. That blue star banner hanging on my door is wrapped in love and appreciation for all they do. I appreciate it when you thank me for their service. I love it when you ask me what you can do to support them. Through the years, friends and neighbors have sent hundreds of packages for my kids to distribute. They have been remembered on prayer lists and been the recipients of some great holiday treats. Can I count on you to advocate for my kids and all their fellow service members to make sure they have the resources they need? Will you fight with me for good mental health services, health care, family support services, and the equipment they need to keep them safe? 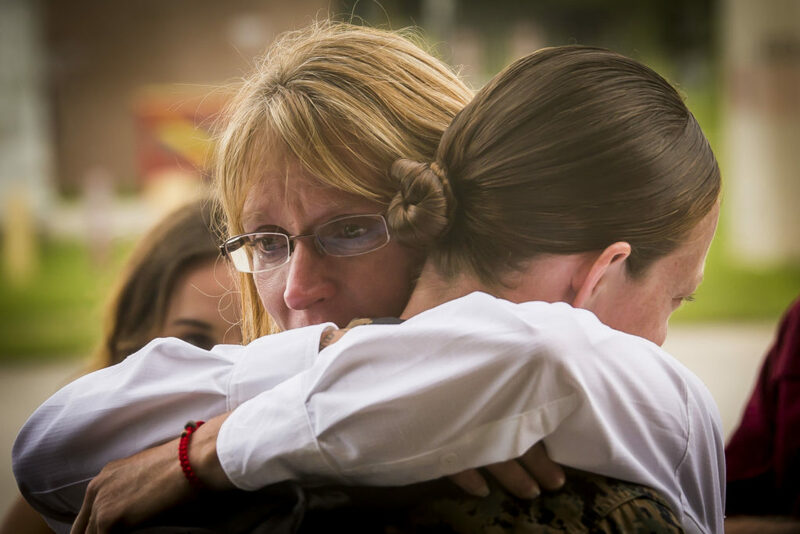 Will you reach out to the families of those deployed who need help in a tangible way? Because they are fighting for you, for your freedom, and a chance to live life as you choose in the country we all love. They really are your kids, too. Good piece. Thanks for sharing it with us. Keep the faith. Hooah. Army mom. So glad I have found your blog and website – thank you for your insight! !